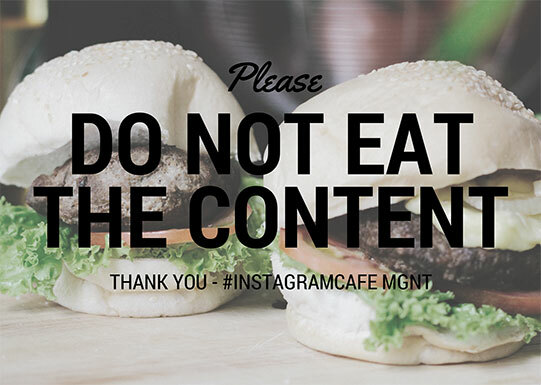 #InstagramCafe gathered a selection of the most photographed food items on Instagram (along with backdrops, camera phone lenses, and selfie sticks) to provide visitors at the Internet Yami-Ichi in NYC the opportunity to take photos and rake in their likes on their Instagram accounts. Our affordable service saved patrons from waiting in line, paying full price, and eating the content. The following items were on the menu: avocado toast, a Bagel Store rainbow bagel, Black Tap milkshakes, a Dominique Ansel Bakery cronut, an original Four Loko, a Manila Social Club $100 24-karat gold donut, 3 cans of La Croix, and Vinnie’s pizza-topped pizza.